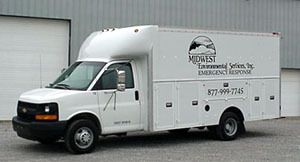 Midwest Environmental Services, Inc. spill response teams serve Indiana, Kentucky, and Ohio. Service center locations include Brownstown and Charlestown, Indiana; Louisville, Kentucky; and Cincinnati and Hamilton, Ohio. 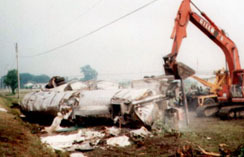 The spill response teams are trained to respond to multiple types of spills including hazardous and non-hazardous releases from transportation accidents, pipeline ruptures, rail cars, industrial accidents, refineries and tank farms. The HOTLINE emer gency response telephone number is answered 24 hours a day, 365 days a year. 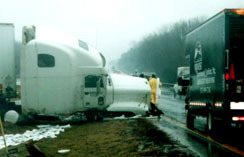 When you call the HOTLINE number, a spill response manager will discuss the emergency and immediately activate the nearest spill response team. Midwest also provides support in preparing spill contingency plans, invoice review and project audits.